Halley's Comet passed perihelion in its eleventh known passage, as calculated from records by Chinese astronomers. Halley's Comet passed perihelion in its twenty-eighth known passage, as calculated from records including ones by Chinese astronomers. H. Goldschmidt discovered asteroid #21 Lutetia. A. Charlois discovered asteroid #344 Desiderata; M. Wolf discovered asteroids #343 Ostara and #549 Jessonda. E. Delporte discovered asteroid #1052 Belgica. E. Delporte discovered asteroids #1176 Lucidor and #3567. K. Reinmuth discovered asteroid #1207 Ostenia. A. Patry discovered asteroid #1515 Perrotin and #1797 Schaumasse. Al Capp, Lil' Abner cartoonist, created Sadie Hawkins Day when "ladies are supposed to take the initiative," which is observed annually on the first Saturday after November 9. The first telecast of an unscheduled event, a fire in New York City, was made by W2XBT (NBC's portable transmitter). NASA and the USAF launched X-15A XLR-99 Checkout Test mission # 26, the first flight with XLR-99 engine, in which Scott Crossfield reached a maximum speed of 3154 kph (Mach 2.97), and attained a maximum altitude of 24.750 km. Comet C/1961 T1 (Seki) approached within 0.1019 AUs of Earth (9.5 million miles, 15 million kilometers). The US Navy launched a Thor Ablestar from Cape Canaveral, Florida, carrying to orbit the Transit 4B navigation satellite with its SNAP 3 nuclear power source, and the TRAAC (Transit Research and Attitude Control) technology satellite. NASA's Gemini 12 returned to Earth after a successful 4 day mission in space, landing less than 5 km from the planned target point. Michael Adams reached an altitude of 81 km flying X-15 Flight 191, and died when the vehicle went out of control during reentry. NASA and the USA Air Force launched the X-15A UVPL/Solar/MM/SA TPS Technology/Meteor/Solar mission, X-15 Flight 191, from above Edwards Air Force Base, California, which ended with a fatal accident, and the aircraft was destroyed: After reaching its peak altitude, the X-15 entered a spin at Mach 5 when erroneous computer data and failure of dampers caused the X-15 to re-enter the atmosphere 180 degrees out of phase. Major Adams chose to remain with the aircraft in an attempt to recover it. The X-15 entered a dive at 30 km, began high frequency pitch oscillations, and disintegrated when these reached 15 Gs. Prior to the mishap, test pilot Michael Adams had achieved a maximum speed of 5821 kph (Mach 5.20), and a maximum altitude of 81.077 km (266,000 ft, 50.38 mi) during the flight. 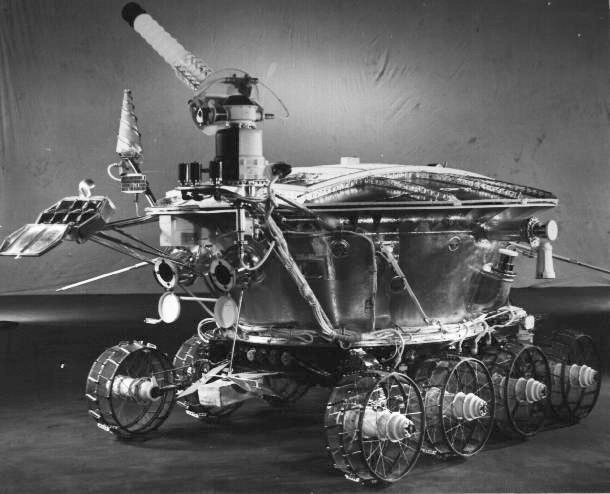 USSR's Luna 17, with the Lunokhod 1 rover aboard, entered Lunar orbit. Intel published the first advertisement for the world's first commercial single-chip microprocessor, the 4004. The advertisement in Electronic News magazine announced "a new era in integrated electronics." NASA launched S-Cubed A (Explorer 45) from San Marco, Kenya, for studies of the magnetosphere and energetic particles. Explorer 45, launched 15 November 1971, was designed to perform a wide variety of investigations within the magnetosphere with regards to particle fluxes, electric fields, and magnetic fields. Its primary scientific objectives were (1) to study the characteristics and origin of the Earth's ring current and development of the main-phase magnetic storms, and (2) to study the relation between magnetic storms, substorms, and the acceleration of charged particles within the inner magnetosphere. To determine the major wave-particle interaction mechanisms, directional measurements of protons, electrons, and alpha particles were made over a wide energy range, and dc and ac electric and magnetic fields were measured. Explorer 45 had the capability for complete inflight control of the data format through the use of an onboard set of stored program instructions. These instructions governed the collection of data and were reprogrammable via ground command. The command system handled 80 commands for controlling the spacecraft and experiment functions, as well as for flight program loads for the data processing system. The antenna system consisted of four dipole antennas spaced 90 degrees apart on the surface of the spacecraft cover. The satellite contained two transmitters, one for digital (PCM) data at 446 bps, and the other for either the digital data or wideband analog data from 30 Hz to 10 kHz from the ac electric field probes and from one search coil sensor. The satellite power system consisted of a rechargeable battery and an array of solar cells. The spin rate was about 7 rpm, and the spin axis lay in the spacecraft orbital plane which was approximately the same as the Earth's equatorial plane. The initial local time of apogee was about 21.8 hours, and the line of apsides moved around toward the Sun at an initial rate of 12 degrees per month. The satellite was operationally turned off on 30 September 1974, after approximately 3 years of successful and productive operation. A coordinated series of papers describing the satellite and the experiments was contained in J. Geophys. Res., v. 78, n. 22, August 1973. NASA launched Small Astronomy Satellite-B (Explorer 48) from San Marco, Kenya, to study gamma rays. SAS-B, launched 15 November 1972, was the second in the series of small spacecraft designed to extend the astronomical studies in the X-ray, gamma-ray, ultraviolet, visible, and infrared regions. The primary objective of the SAS-B was to measure the spatial and energy distribution of primary galactic and extragalactic gamma radiation with energies between 20 and 300 MeV. The instrumentation consisted principally of a guard scintillation detector, an upper and a lower spark chamber, and a charged particle telescope. SAS-B was launched from the San Marco platform off the coast of Kenya, Africa, into a nearly equatorial orbit. The orbiting spacecraft was in the shape of a cylinder approximately 59 cm in diameter and 135 cm in length. Four solar paddles were used to recharge the 6 amp-hour nickel-cadmium battery and provide power to the spacecraft and telescope experiment. The spacecraft was spin stabilized, and a magnetically torqued commandable control system was used to point the spin axis of the spacecraft to any position in space within approximately 1 degree. The experiment axis lay along the spin axis, allowing the telescope to look at any selected region of the sky with its +/- 30 degree acceptance aperture. The nominal spin rate was 1/12 rpm. Data were taken at 1000 bps and could be recorded on an onboard tape recorder and simultaneously transmitted in real time. The recorded data were transmitted once per orbit, which required approximately 5 minutes. The telescope experiment was initially turned on 20 November 1972, and by 27 November 1972, the spacecraft became fully operational. The low-voltage power supply for the experiment failed on 8 June 1973. No useful scientific data were obtained after that date. With the exception of a slightly degraded star sensor, the spacecraft control section performed in an excellent manner. NASA and the US Air Force launched X-24 Flight 34 (X-24B flight 6), the first powered flight of the X-24B, in which John Manke reached a maximum speed of 961 kph and a maximum altitude of 16.080 km in a flight lasting 404 seconds. During X-24 Flight 45 (X-24B flight 17), Jonh Manke reached a maximum speed of 1722 kph and a maximum altitude of 21.960 km in a flight which lasted 481 seconds. A Delta 2000 launched from Vandenberg, California, carried the NOAA 4 weather satellite, the Oscar 7 amateur radio satellite, and Spain's Intasat 1 technology satellite into orbit. The SBS 1 (Satellite Business Systems) commsat was launched from Cape Canaveral, Florida, which was positioned in geosynchronous orbit at 100 deg W 1981-1984; 99 deg W 1984-1990. E. Bowell discovered asteroid #3537. USSR launched Raduga 17 from Baikonur to provide telephone and telegraph communications and television broadcasting, which was positioned in geosynchronous orbit at 35 deg E 1985-1988; 69 deg E 1988-1990; 85 deg E 1990-1991; 49 deg E 1991-1992. USSR launched Molniya 1-69 from Plesetsk, which replaced Molniya 1-60 in operation of the long-range telephone and telegraph communications system in the USSR and transmission of USSR Central Television programs to stations in the Orbita network. USSR launched the Buran spaceplane from Baikonur in a two-orbit unmanned test of the Soviet space plane. Buran was first moved to the launch pad for the launch of its maiden flight on 23 October 1988. The launch commission met on 26 October 1988 and set 29 October 06:23 Moscow time for the first flight of the first Buran orbiter (Flight 1K1). When control of the countdown switched to the automated systems at T-51 seconds, the computer program detected a problem and aborted the lift-off. The difficulty turned out to be due to late separation of a gyro update umbilical. The error was rectified, and the next attempt was set for 15 November at 06:00 Moscow time (03:00 GMT). When launch morning arrived, the site had weather of snow flurries and 20 m/s (45 mph) winds. Although the launch abort criteria was 15 m/s (34 mph) winds, the launch director decided to press ahead anyway. After 12 years of development, everything went perfectly. Buran, with a mass of 79.4 tons, separated from the Block Ts core and entered an initial orbit with a perigee of -11.2 km and apogee of 154.2 km. At apogee, Buran executed a 66.6 m/s maneuver, and entered a 251 km x 263 km orbit, carrying the 7150 kg module 37KB s/n 37071 in the payload bay. 140 minutes into the flight, after two orbits, the retrofire burn took place, with a total delta-v of 175 m/s. 3 hours, 26 minutes after launch, Buran touched down at 260 km/hr in a 17 m/s crosswind at the Jubilee runway, accompanied by Igor Volk in a MiG-25 chase plane, with a 1620 meter landing rollout. The completely automatic launch, orbital maneuvering, deorbit, and precision landing of a spaceplane the size of an airliner on its very first flight was a significant accomplishment of which the Soviets were justifiably proud. Akin to the "all up" testing of the United States' Saturn V development program, it completely vindicated the years of exhaustive ground and flight test debugging of the systems before they flew. The 300 foot (90.44 meter) radio telescope dish at Green Bank, West Virginia, collapsed. NASA launched STS 38 (Atlantis 7, Shuttle 37, 68th US manned space mission) into orbit with a classified Department of Defense payload. The launch of STS 38 was originally scheduled for July 1990. However, a liquid hydrogen leak found on the orbiter Columbia during the STS 35 countdown prompted three precautionary mini-tanking tests on Atlantis at the pad on 29 June, 13 July and 25 July. The tests confirmed the hydrogen fuel leak on the external tank side of the external tank/orbiter 17-inch quick disconnect umbilical. The problem could not be repaired at the pad, and Atlantis was rolled back to the Vehicle Assembly Building (VAB) on 9 August, demated and transferred to the Orbiter Processing Facility (OPF). During the rollback, the vehicle was parked outside the VAB about a day while the Columbia stack was transferred to the pad for the STS 35 launch. Outside, Atlantis suffered minor hail damage to tiles during a thunderstorm. After repairs were made in the OPF, Atlantis was transferred to the VAB for mating on 2 October. During hoisting operations, a platform beam that should have been removed from the aft compartment fell and caused minor damage which was repaired. The vehicle was rolled out to Pad A on 12 October. A fourth mini-tanking test was performed on 24 October, with no excessive hydrogen or oxygen leakage detected. At the Flight Readiness Review, the launch date set for 9 November. The launch was then reset for 15 November due to payload problems. Liftoff finally occurred during a classified launch window lying within a launch period extending from 6:30 to 10:30 PM EST on 15 November 1990. STS 38 was the seventh Shuttle mission dedicated to the US Department of Defense. The astronauts deployed the NRO's USA 67 Magnum 3 signal intercept satellite on 15 November, which was boosted to geostationary orbit. STS 38 ended on 20 November 1990 when Atlantis landed on revolution 79 on Runway 33, Kennedy Space Center, Florida. The rollout distance was 9,003 feet, the rollout time 56 seconds, with a mission duration of four days, 21 hours, 54 minutes, 31 seconds. The launch weight was classified, the landing weight 191,091 pounds. The mission was extended one day due to unacceptable crosswinds at original planned landing site, Edwards Air Force Base, California. Continued adverse conditions led to a decision to shift the landing to KSC. It was the first KSC landing for Atlantis, and the first end-of-mission landing at KSC since April 1985. Orbit altitude: 142 nautical miles. Orbit inclination: 28.5 degrees. Miles traveled: 2 million. 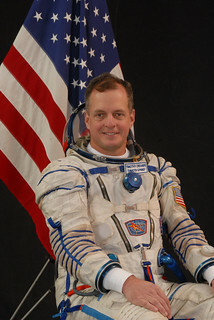 The flight crew for STS 38 was: Richard O. Covey, Commander; Frank L. Culbertson, Jr., Pilot; Robert C. Springer, Mission Specialist 1; Carl J. Meade, Mission Specialist 2; Charles D. Gemar, Mission Specialist 3. Russia launched Resurs-500 from Plesetsk which carried a descent module with greetings to American people in connection with the 500th anniversary of Columbus' discovery of America. NASA STS 74 (Atlantis 15, Shuttle 73) docked at the Russian Mir space station during the second Shuttle-Mir docking mission. A transit of Mercury occurred which was visible in North America and the southern Pacific. Japan launched MTSAT (Multifunctional Transportation Satellite) from Tanegashima, meant to provide communications and air traffic control for the transportation ministry and weather data for the meteorological agency, which had a first stage burn failure. The ESA SMART-1 Moon orbiter made its first perilune pass at 5000 kilometers above the Lunar surface.